A synchronised global economic slowdown is under way and any escalation in the US-China trade war would trigger a sharper downturn, according to Reuters polls of hundreds of economists from around the world. Over half of nearly 270 economists who answered an additional question said a further escalation in the US-China trade war will likely trigger an even sharper global economic slowdown this year. 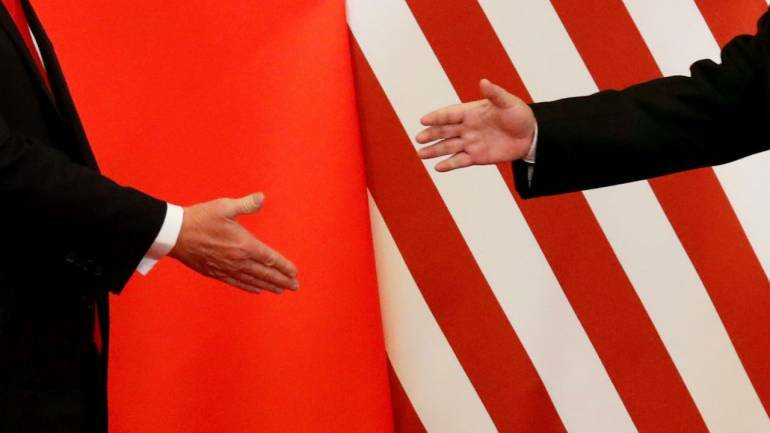 With a March 1 deadline set by the White House for an agreement or risk of an escalation of tariffs on another $200 billion worth of Chinese goods, both US President Donald Trump and Chinese President Xi Jinping are still far apart on key structural elements critical for a deal. “Don’t tell me anyone is really buying the drivel that a ‘great deal’ is imminent between the US and China on trade, we are in the early stages of a new Cold War,” noted Jan Lambregts, global head of financial markets at Rabobank. That 3.5 percent lines up with the International Monetary Fund’s growth outlook released ahead of the World Economic Forum in Davos, which highlighted the challenges policymakers face as they tackle the risk of a serious slowdown. Despite predicting two rate hikes this year, in line with the Federal Reserve’s own dot plots, economists now expect the US central bank to take rates higher in the second quarter instead of the first, with a significant minority forecasting either one hike or none.